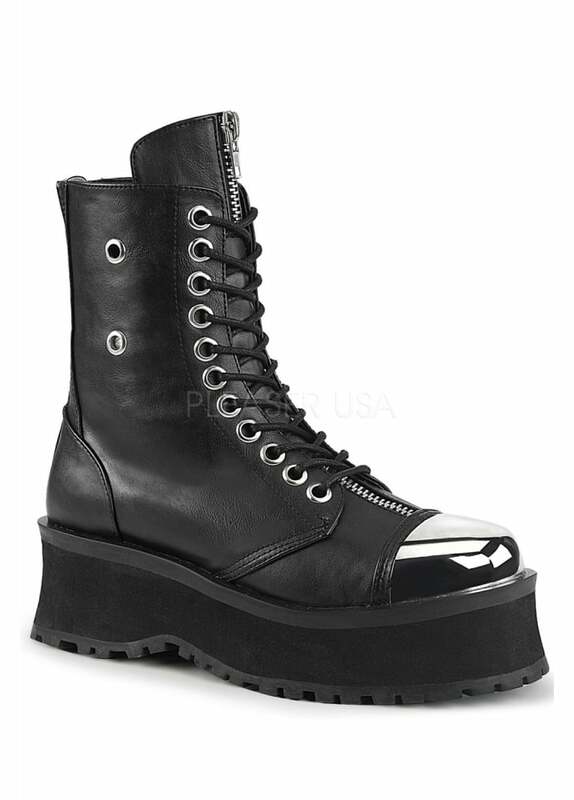 There's nothing more metal than a steel toe capped boot and Demonia's Gravedigger 10 delivers! These vegan leather ankle boots have a lace up front with eyelet studded side. The boot has a low platform and features a shiny chrome plated toe cap.